Ready to get started? Apply here. Ready to switch to The First? We are here to help! Switching your accounts to The First is easy even if you have direct deposits or automatic payments. The First is prepared to help you make it happen in four easy steps. Step 1 is to open an account at The First. You may open your account online or visit one of our locations! Access our Switch Kit here! Switching your accounts to The First is easy even if you have direct deposits or automatic payments. The First is prepared to help you make it happen in four easy steps. All you’ll need can be found here. Refer to current rate sheet for account’s current interest rate and annual percentage yield. No average collected daily balance is required to obtain the disclosed annual percentage yield. At our discretion, we may change the interest rate and annual percentage yield on this account at any time. Interest is calculated with the daily balance method, and applies a daily periodic rate to the principal (collected balance) in the account each day. Interest is compounded monthly and credited monthly to the account. If customer personally closes account before interest is credited, accrued interest will be paid. Interest begins accruing no later than the business day we receive credit for the deposit of non-cash items, such as checks. $100.00 bonus offered to new accounts and conversion of existing checking accounts to a Veterans Checking account. To be eligible customer must present military ID or other equivalent documentation. Limit one bonus per veteran. Bonus will be applied as an Interest Credit to the account. standard annual fee for a 3”x5” box will apply. Following the first year, the standard annual fee for the box size will apply. Boxes are available at our Andale, Goddard, Haven and in Hutchinson: 25th and Main, 17th Ave, and Sherman and Main locations. **** No ATM fees at First National Bank of Hutchinson ATMs. Fees may apply at other ATMs. ***** You are eligible for a .25% Annual Percentage Rate discount on a personal loan when you enroll in auto-debit payments. Discount is subject to credit approval and excludes overdraft banking privilege, mortgage loans, equity lines of credit and all advertised loan specials. ****** Overdraft Privilege is an additional option and is not automatic with every Veterans Checking account. Certain criteria apply to be eligible for Overdraft Privilege. Please contact The First if you are interested in adding this option to your account. A Regular Savings Account is a great place to put money away and experience growth over time. These accounts are often used as an educational tool for children and youth to assist in teaching how to save and budget money. Six pre-authorized or telephone transfers per month. Check writing not permitted. Like money market mutual funds, the Ultra Money Market Account earns a higher rate of return. But unlike a mutual fund, there are no up-front fees to pay, and your money isn’t locked away out of reach. The First offers a variety of options for Certificates of Deposit (CDs). Interest rates vary depending on the length of maturity. The rate is guaranteed until the maturity of the investment or until renewal. Refer to rate sheet for current information. To offer protection for your valuables, The First provides safe deposit boxes for rent at six locations*. A variety of box sizes in a range of 2x5x20 to 10x25x20 are available. Rental fees vary depending on the size of the box. Contact us at 620.663.1521 for information and box size availability. *Not all box sizes are available at all locations. A deposit account at The First is required in order to rent a box. Fees are automatically deducted from your account. The contents of safe deposit boxes are not deposits and are not insured by The First or by the FDIC. Safe deposit customers may obtain insurance coverage on box contents at their own expense. To get started with Electronic Banking, click here to sign up. To access how-to videos and electronic banking digital guides, click here to visit our Electronic Learning Banking Center. Account open for at least 60 days. No more than three overdrafts in a month or five overdrafts in the past 12 months. Ready to get started? Visit any branch or contact us at 800.310.1521! All personal checking accounts, Regular Savings and Ultra Money Market accounts. Health Savings Accounts and loans are not eligible for Snapshot Deposit. Deposits made prior to 4:30 p.m. (CT) on regular business days, should be posted and credited to your account the same day. Deposits made after 4:30 p.m. (CT) on a regular business day, should be posted and credited the next business day. Deposits made on a holiday, weekend, or non-regular business day, should be posted and credited the next business day. ​The First highly recommends that each check deposited via SnapShot Deposit be held for at least 7 business days. Then The First recommends you shred or otherwise destroy the check. Download Free Apps for iPhones/iPads and Android Phones and Tablets! If you're an Apple or Android user, you can download your free App from the Apple Store or Google Market store. Get started by logging into Electronic Banking with the First National Bank of Hutchinson Apple App. Navigate to “Settings” and choose “Apple Watch”. Slide the toggle to “on” to enroll your Apple Watch. Ready to get started? Visit any location or contact us at 620.663.1521! Up to a total of $500.00 can be submitted daily. Up to a total of $2,500.00 can be submitted monthly. With prior arrangement, limits may be raised permanently or for a one-time situation. Please contact customer service for more information, 620.663.1521. Payee signature (should be the same as the payee line and be an account holder). Write the words: For mobile deposit only and the account number. Without proper endorsement, a check may not be accepted. 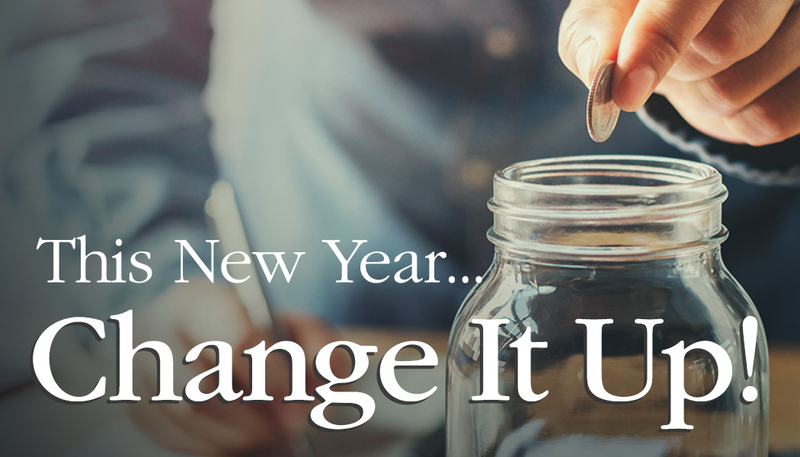 Change It Up is a feature that rounds up your debit card purchase amounts to the next whole dollar amount and deposits the change into a separate account of your choice at The First! Get started today by calling us at 620.663.1521 and ask to enroll in our Change It Up program! Need an additional account at The First to start saving? Log into Electronic Banking, go to the Services menu and click on “Open an Account”. Or you can open an account at any of our full service locations. Click here to visit our locations page. Once you have enrolled, it may take 1 to 2 business days for the service to be enabled. Debit card transactions conducted from 2pm to 2pm the next business day will have debit/credit amount combined. Look for “Change It Up Debit” and “Change It Up Credit” in your transactions. Debit Cards for Money Market and Health Savings Accounts are not eligible to participate in the program. The deposit account you choose to have Change It Up deposited to must be an account at The First you are a signer on. FirstPay is a Person-to-person payment feature which makes sending and receiving money as simple as texting and emailing. Whether it’s paying rent, paying daycare, paying allowance, splitting the check, or sending a birthday gift, FirstPay will allow you to quickly transfer money from your existing debit card securely and privately within The First’s Electronic Banking. FirstPay is located inside Electronic Banking in the Transactions menu! Do I need to download a separate app to use FirstPay? If you are a user of Electronic Banking at The First, you already have access to FirstPay within the app or on a desktop computer. 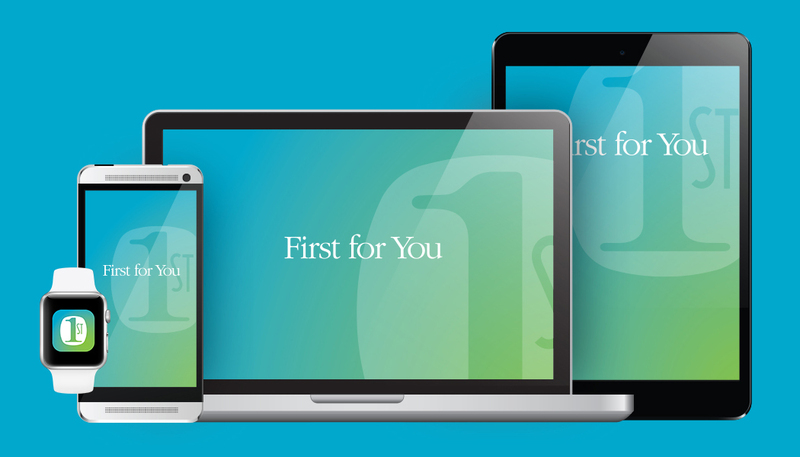 FirstPay is only accessible after you have successfully logged into your Electronic Banking, either on desktop or the mobile app. The feature is housed securely inside your Electronic Banking. Once you are logged into Electronic Banking, choose FirstPay in the transaction menu. The first time you will be asked to accept Terms and Conditions and set up your active debit card from The First. After the initial setup, your information will be stored securely within Electronic Banking. Confirm the transaction details. Enter your debit card PIN using the secure scrambled keypad. Who can I send money to with FirstPay? Send money to anyone with and open and active debit card or account at any United States Financial Institution. Split the bill, pay rent, daycare, babysitter, family, friends, etc. If you are paying a business, you may alternatively use Bill Pay. What information is needed to send money to someone? All you need is the recipient’s email address or mobile phone number, depending on if you choose to send via a text message or email. You have the option of using your contact list to populate the fields if you are using the mobile app. The recipient will choose if they would like the funds deposited directly into their bank account by debit card or enter their account number and routing number at their financial institution. Does the recipient have to be a customer of First National Bank of Hutchinson? No, you may send money to anyone in the United States that has an open and active debit card with a United States financial institution. How does the recipient accept my payment? Recipient receives a text or email from FirstPay. No special app for the recipient to download! The transaction is all conducted within the link in the text or email. Best practices are for you to inform the recipient to expect a text message or email from FirstPay which will have your name and an instruction link to receive the money. Upon clicking the link, the recipient will be asked to enter his/her name and debit card information for immediate transfer of funds and accept terms and conditions. As an alternative, the recipient may enter bank account information to receive the funds in 1 – 2 business days. What if the recipient never receives the text message notification of my payment? Verify the information used to set up the contact is correct. If it is, one of the following may be possible: The recipient may be using a mobile carrier that automatically blocks unfamiliar text messages OR the recipient may have blocked unfamiliar text messages. If this does not resolve the issue, you should ask the recipient to contact their carrier to remedy the issue. What if the recipient never accepts the payment? The payment will be returned automatically to the sender after 10 days. You are able to cancel a FirstPay transaction as long as your recipient has not yet accepted the money. This is will require contacting us at 620.663.1521 during banking hours. How long will it take for the funds to be deposited into the recipient’s account? This will depend on the delivery method of the payment and at what time it happened: 1-3 days after the recipient claims the payment. 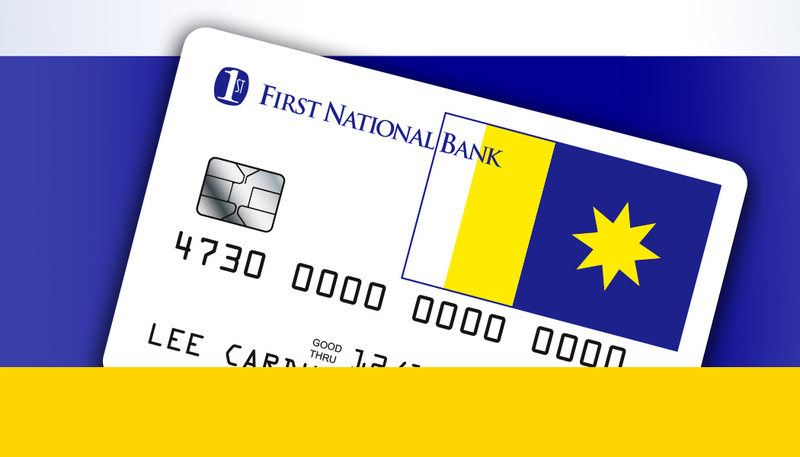 Available to Electronic Banking customers with an open and active debit card from The First. 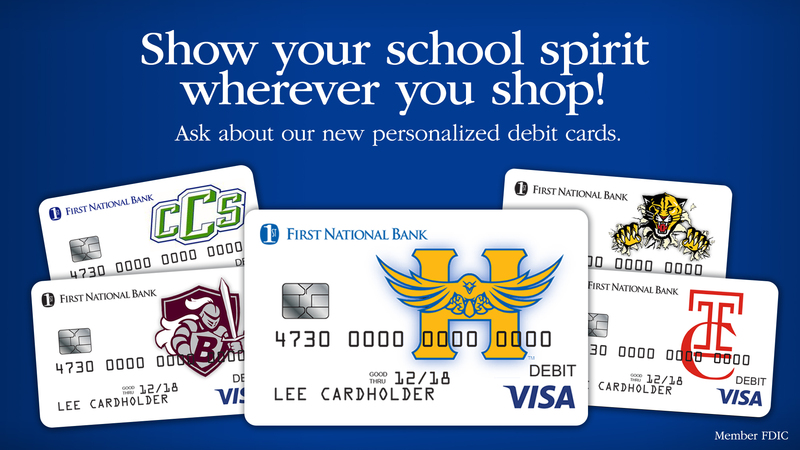 Visit any location or call 620.663.1521 to get your personalized debit card! Show your Hutchinson community spirit with a Hutch Flag Card design! Cost of the card is $5.00 with $1.00 going back to the Fund for Hutchinson held at Hutchinson Community Foundation. Cost of the card is $5.00 with $1.00 going back to a local Veteran organization. 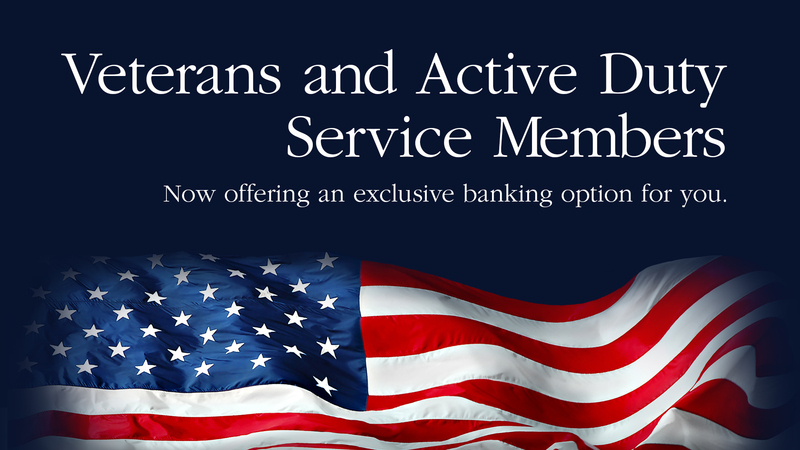 Fee is waived when opening a Veterans Account. Click here to learn more! Show your community spirit everywhere you shop! Cost of the cards are $5.00 with $1.00 going back to the designated district. Click here to view all designs! The First offers improved security with the option of adding Debit Card Alerts & Notifications. Contact us at 620.663.1521 to sign up today! Every Debit Card issued by The First is monitored for fraud protection. To learn more about how The First contacts customers if fraud is suspected, click here. At The First we make your loan application process quick and easy. We have experienced loan officers available at all of our locations (except Avenue A in Hutchinson) and you can also apply online for many types of loans. We offer a variety of personal loan options and will help you choose the best loan product for your situation. Our local loan approval process means you deal with your local banker — not someone in another state. For information on our rates, visit our Rates page. A home equity line of credit is perfect for expenses with multiple payouts from remodels to college tuition. Borrow as you need, pay back as you go and you’ll avoid paying interest on the money you need until you actually use it. First National Bank of Hutchinson is currently offering a home equity line of credit starting at 5.00 % APR1. When it’s time to reinvest in your greatest investment, turn to First National Bank of Hutchinson. We’re now offering home equity loans at 4.302% APR2 with approved credit. Whether you want to tackle a home improvement project, finance a car or pay off a credit card, First National Bank of Hutchinson home equity loans are an efficient way to get things done. Applications for a Home Equity Line of Credit or Home Equity Loan can be made at any of our locations (except Avenue A). To expedite the process, link here, to complete the application before visiting. At this time, we do not have a fully automated, online application process for our Home Equity Loans. 1 Subject to credit approval and mortgage position, up to 80% Loan to Value (LTV). Rates are subject to change. The Prime Rate is quoted in The Wall Street Journal as of the 15th day of each month. The APR may change monthly ranging from Prime to Prime plus 0.50%, depending on credit, but will not be lower than 3.75% APR or exceed 18% APR. There is a $100 documentation fee and appraisal fee due at origination. All other closing costs are waived. The annual maintenance fee is $50. Insurance must be carried on property securing the loan. Consult your tax advisor regarding tax deductibility. 2 Subject to credit approval and mortgage position, up to 80% LTV. The Annual Percentage Rate is subject to change and will vary depending on loan term and fees. Disclosed APR assumes a $20,000 loan with a $100 documentation fee. For example, a $20,000 loan with a contract interest rate of 4.30% would require 60 monthly payments of $371.06, resulting in an APR of 4.302%. Insurance must be carried on property securing the loan. Consult your tax advisor regarding tax deductibility. Purchasing, refinancing or building your primary residence? Our loans are tailored to fit your individual preferences and needs. Want to do your homework before applying? Use our Calculators to estimate payments. Debbie Barnes (NMLS ID 589672). The First's NMLS ID is 629547. 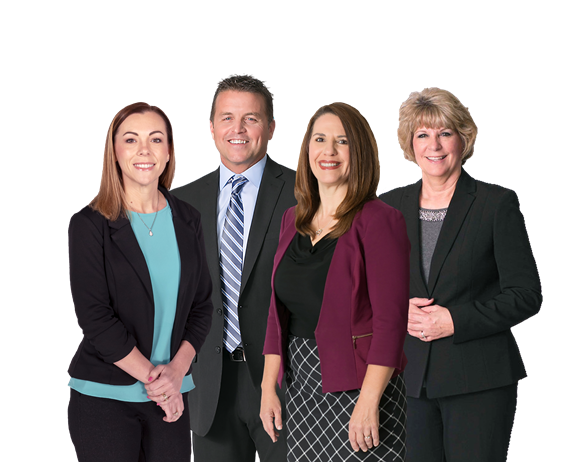 With 8 locations to serve you and our experienced, knowledgeable loan team, we will come to your location of choosing to help you throughout the process — and beyond. Our real estate professionals can be reached at 620.694.2310 in Reno County or 316.444.2550 in Sedgwick County. If you are interested in additional ways to save money other than a basic savings account, CDs and IRAs may be good options. If you are looking for options to convert an existing 401(k), click view more for details. An IRA is a flexible retirement planning investment instrument with various maturities. Individual Retirement Accounts allow you to save for long-term goals, such as money for retirement or for a child’s education. Contributions to IRAs are typically not taxed until the funds are removed. Some IRAs are tax-deductible. The First offers several different types of IRAs. We encourage you to call us. We can help you choose an option that best fits your financial goals. Funds must remain on deposit until maturity to earn the advertised yield. Substantial interest penalty is required for early withdrawal as follows: for maturities of 7 days to less than 30 days, the interest penalty is 7 days' interest; for maturities of 30 days to less than 90 days, the interest penalty is 30 days' interest; for maturities of 90 days to less than 1 year, the interest penalty is 90 days' interest; and for maturities from 1 year through 5 years, the interest penalty is 180 days' interest.